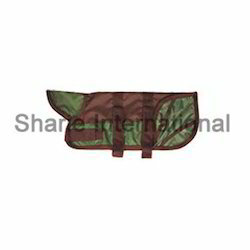 Over the years, we have gained immense experience and expertise in designing and manufacturing a wide assortment of pet products such as Dog Rugs. Making use of premium quality raw material, these rugs are uniquely & differently designed on vibrant color fabric by our skilled artisans. 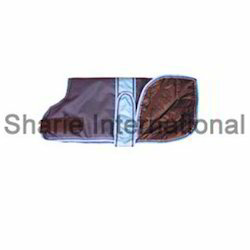 Moreover, to make these warm and perfect for winters, these dog rugs are designed with fleece lining or fur lining depending upon the specific preferences of the clients. Front Closer Dog Rug offeredcome in quality construction finish and feature 600 Dn Ripstop finish as well as come in waterproof and breathable construction which makes these highly comfortable option to use. These rugs feature 150 gsm poly-fill construction with front Velcro closer and adjuster as well as available in multiple size and color options to pick from. 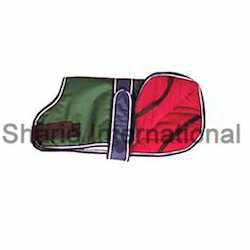 Some of its features include helps in keeping dogs warm during winter months; available in choice of fleece, nylon and waterproof finish; a variety of sizes available to fit any size dog. Fur Lining Dog Rug offeredcomprise Dog rug 600 DN ripstop that provide for waterproof finish as well as breathable, windproof finesses with fur lining support o as to provide for comfortable usage. 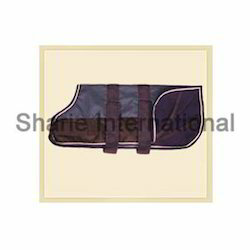 With availability in different sizes as well as color options, the use of premium quality material for these dog rugs also makes these highly demanded in the market. Some of its features include made using quality raw material in unique designed and vibrant colored fabric finish; rugs designed with fleece/fur lining support. Nylon Lining Dog Rug offeredcan be made available by us in different finish choices and comprise Dog rug 600 DN ripstop that is available in waterproof breathable finish. Further, these also come with 150 gsm poly fill and nylon lining with options of different sizes as well a multiple color options to pick from. 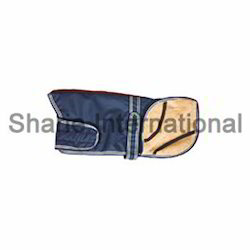 Some of its features include strong and water proof finish; use of ripstop thread for added durability; helps in keeping dogs warm by trapping warmth and acting as insulation layer; use of best fabrics and linings for superior feel; providing superior fit, these also prevent rubbing and chaffing. 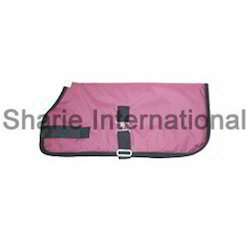 Waterproof Dog Rug offeredcomprise 600 DN ripstop with waterproof finish as well as breathable and fleece lining support o as to provide for comfortable usage. Made available in different finish sizes and color options, the quality finished dog rugs come in sizes like 12 Inch, 14 Inch, 16 Inch, 18 Inch, 28 Inch and others. Some of its features include available in differ color options like Black, Blue, Green, Grey, Red; waterproof nylon material finish with fleece lining; adjustable hook and loop body strap; extended folded neck-cover for additional protection and warmth; featuring single adjustable body strap. Looking for Dog Rugs ?